Earlier this year I made a goal to travel more, and even though I am still not exploring as much as I would like to, I am definitely making progress! 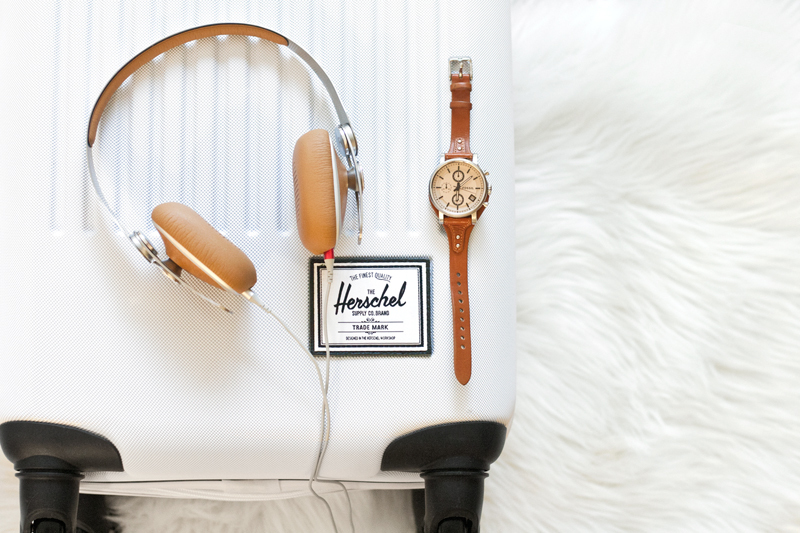 I just got back from my solo NYC trip and I was so glad to have a couple of new travel essentials to take with me. 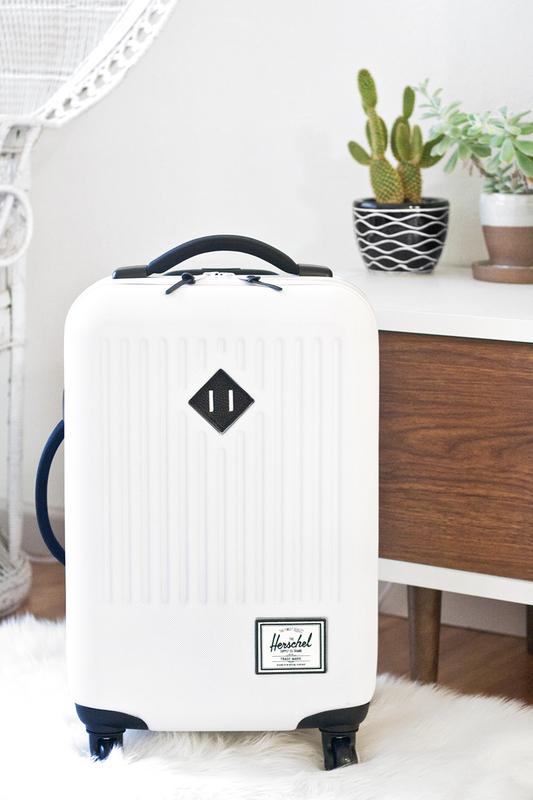 I have been on the hunt for a cute carry-on and this white Trade Luggage with black leather from Herschel Supply Co. is perfect! Spacious, lightweight, stylish... what more can you ask for? Traveling can be exhausting and the airplane isn't exactly the most comfortable place to be, so finding ways to relax is very important. 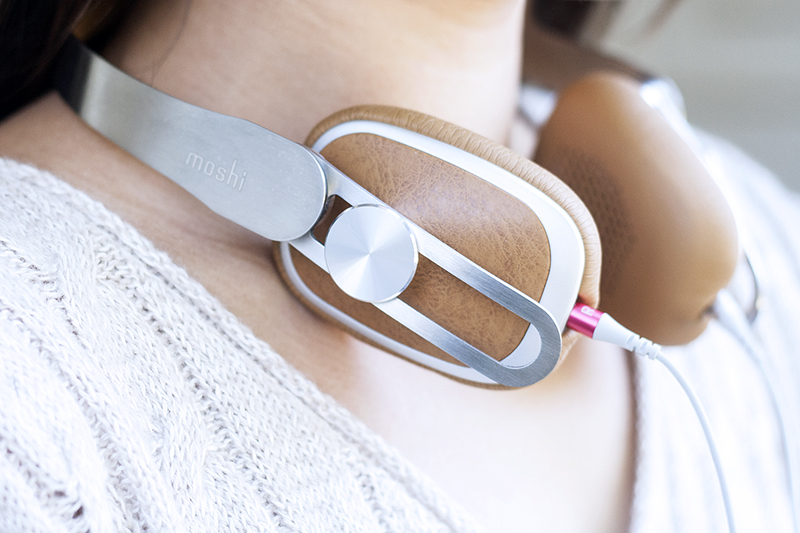 The Avanti on-ear headphones by Moshi are amazing! They are designed in a way so that you can wear them for hours without feeling uncomfortable. 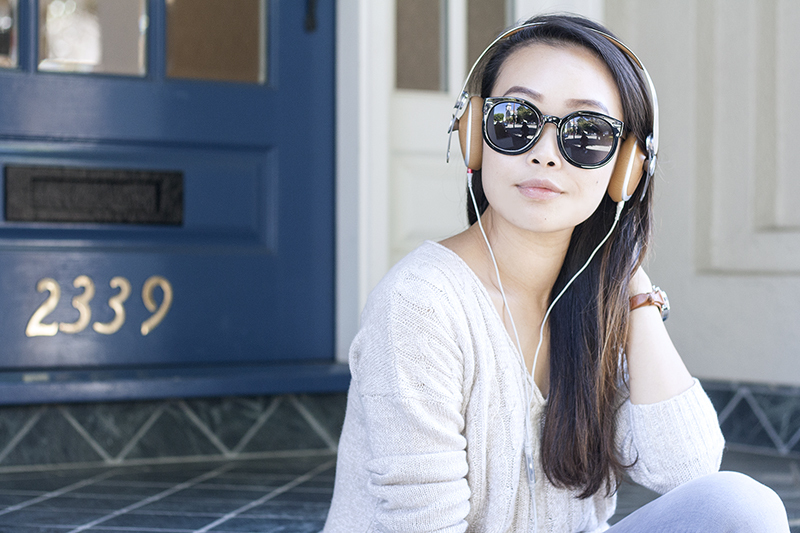 The soft and adjustable earcups form a perfect, noise-isolating seal while exerting minimal pressure on your ears. I was really surprised at how much they blocked out all the airplane noise! 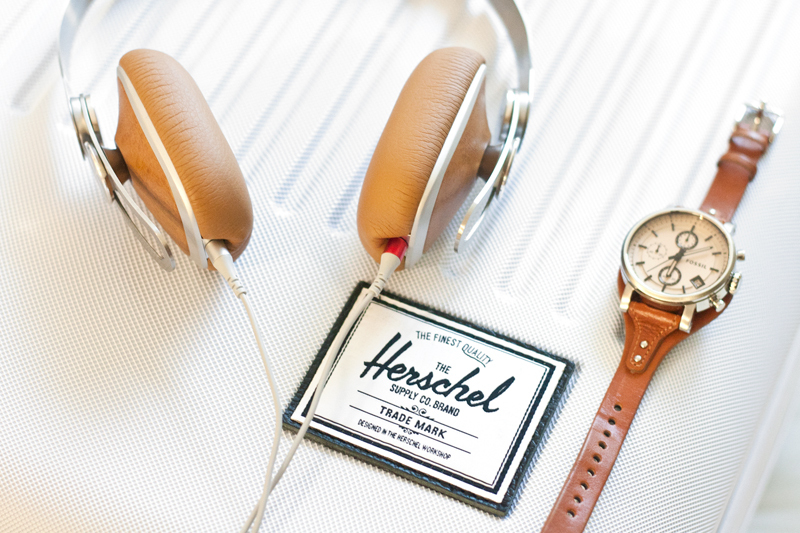 Trade carry-on luggage c/o Herschel Supply Co.
Avanti on-ear headphones c/o Moshi. 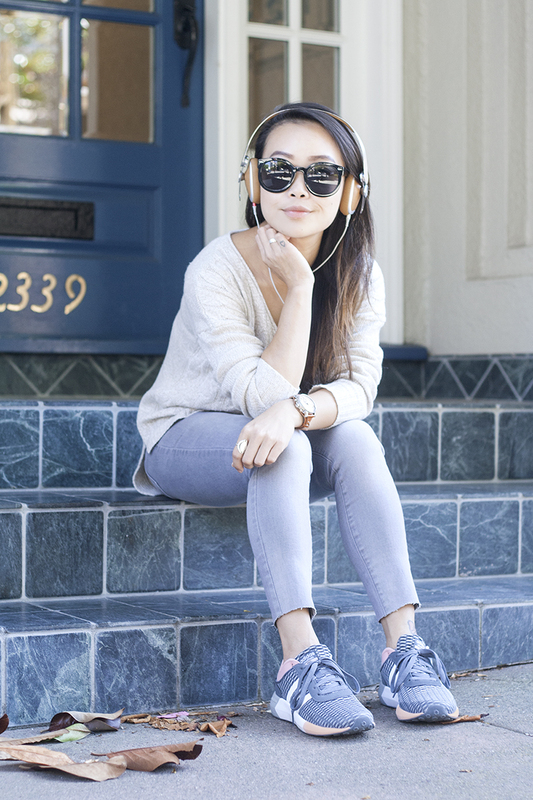 Cashmere knit sweater c/o Raffi. 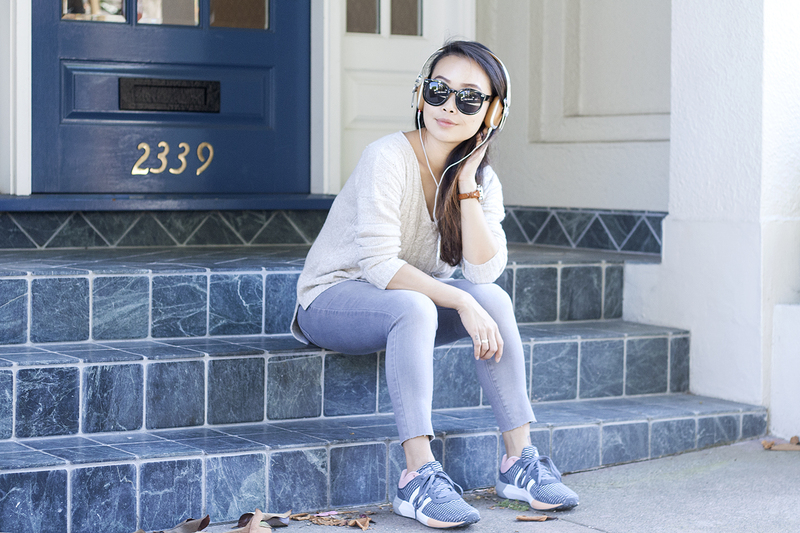 Gray wash denim from Old Navy. NEO cloudfoam race running shoes by Adidas.